So, we are once again pleased to bring you the Thermal Management Product of the Year contest, hosted by Thermal Live™. Solaria is a highly versatile general purpose thermal simulation tool. SolariaPCB provides a complete interface with your ECAD tools bringing in every component, trace, layer and via. Highly accurate Solaria models are built including every detail yet solve in minutes. The MMIC Front End automatically builds detailed Power Amplifier Solaria models at the sub-micron level. All are affordable. Engineered specifically for the Intel® Xeon® Scalable Processor Family (Skylake), CoolIT Systems’ Rack DCLC™ RX1 Passive Coldplate enables the highest wattage CPUs. 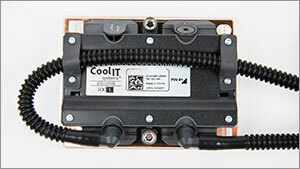 Leveraging CoolIT’s patented Split-Flow design theory, RX1 has become the leading coldplate choice for Original Equipment Manufacturers (OEMs) to eliminate the need for CPU heatsinks and maximize density in even the most compact 1U applications. 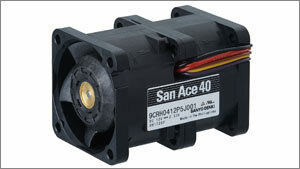 SANYO DENKI’s San Ace 40 9CRH type 40x40x56 mm Counter Rotating Fan features the highest static pressure in the industry, high energy efficiency, and low noise. It offers ideal cooling solutions for high density equipment such as servers, power supplies, network equipment, telecom equipment, and data storage systems. Complete solution specifically to encapsulate high voltage batteries. 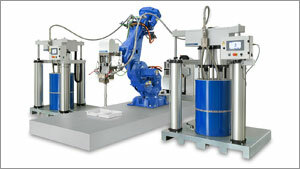 The system, consisting of the high-performance dispenser Dos HP and the PailFeed 200 Abrasive material feeding system, allows dispensing rates of up to 80 ml/s with highly paste-like media and with consistently high dispensing accuracy even when using highly abrasive thermally conductive materials. TG-S808 Thermal Grease is a high thermal conductivity (8 W/mK) grease with low thermal resistance and low thermal impedance. It is a good leveling agent which can effectively fill the gap of the interface with no overflow. 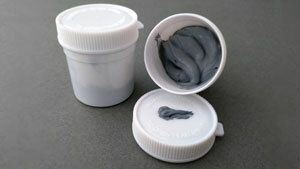 The material is silicone base which contain no environmental pollution. Although it contains various advantages, the price is very competitive.